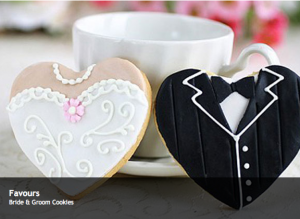 Next month will see us in conjunction with Your West Midlands Wedding Magazine, December issue 2011, running a competition for one lucky wedding reader to win 80 of our fabulous Wedding Cookies designed by Nyree and worth £360. To enter the competition look out for next months Your West Midlands Magazine on sale at the end of November 2011 to enter our Sugarbliss Favours Competition. This entry was posted in Wedding Cakes and tagged wedding favours by Sugarbliss. Bookmark the permalink.